Japanese thoughts on risk are changing, but they are changing slowly. Many people still consider failure to be a permanent condition, and that makes it hard to take risks, or in some cases even to be associated with risks. 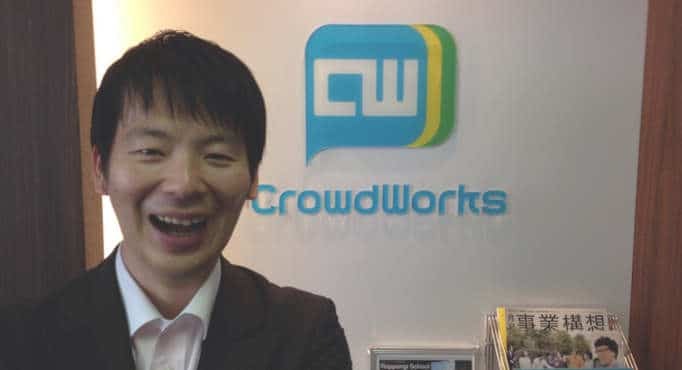 Today we talk with Hajime Hirose, one of Japan’s new breed of serial entrepreneurs. Hajime has started companies in three different countries and several different industries. We talk about the challenges and importance of going global and how a Japanese founder ended up running a Chinese company that IPOed in New York. And of course, we also talk about how difficult it is for startups to combat rumors in Japan, even when everyone knows those rumors to be false. I’m Tim Romero, and thanks for joining me. You know, there aren’t many serial entrepreneurs in Japan. The reason for that is, well, the same reason why we don’t have a lot of angel investors in Japan. Until very recently, the idea of both startup success and startup failure was permanent. If your startup succeeded, you were expected to be running it until either you or the company expired, and if you failed, well, if you failed, you were done. Until very recently, failure was considered a permanent condition. 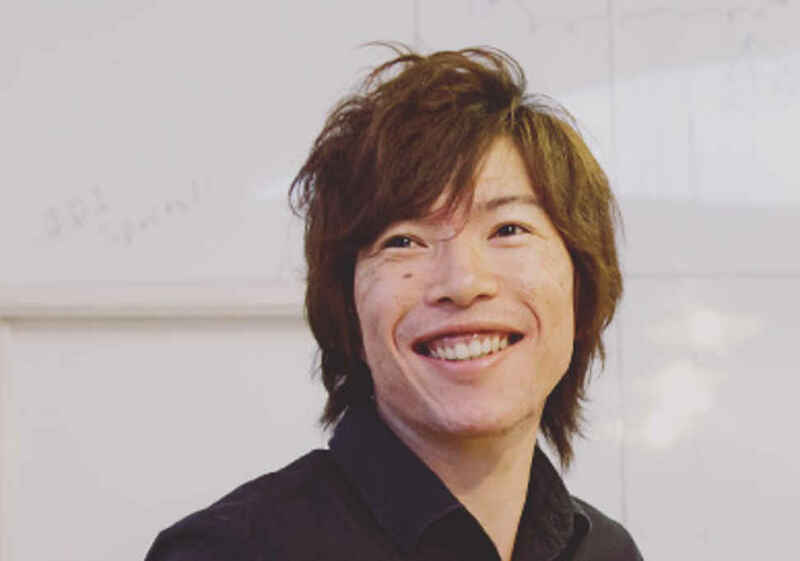 No one was inclined to give you a second chance, but things are changing, and today, I would like to introduce you to Hajime Hirose, a Japanese serial entrepreneur who has built and sold startups and also bankrupted them. We talk about how Japanese attitudes towards startups are changing, but how in Japan, a bad rumor, even a completely unfounded rumor can kill and otherwise promising startup. We also talk about the importance and the difficulty of going global, and the unlikely tale of a Japanese man running a Chinese startup that ended up IPOing in New York, and we also talk about Hajime’s old startup story that wheezed its way through London, Shanghai, Redmond, Jakarta, and yes, of course, Tokyo. But you know, Hajime tells that story much better than I can, so let us get right to the interview. Tim: All right, so I am sitting here with Hajime Hirose, the what the future founder of BuzzElement, and a few other startups as well, so thanks for sitting down with me. Hajime: Well, thank you. I’m really excited because I’m a big fan of your show and I’m really thrilled to be on this side of the show. Tim: Well, listen, I’m excited to have you here because there are relatively few serial entrepreneurs in Japan. So, I’m looking forward to this conversation. Your first real international business was in China, but before we get to that, let us back up and talk about how you wound up there. Hajime: So, I was born in Tokyo, grew up in Yokohama, and I went to CIO for university, and I’ve been living outside of Japan for the last 26 years. Tim: And, you ended up working for Microsoft, right? Tim: Back when MSN was still a thing. Hajime: That’s right, yeah. So, that was back when Microsoft just bought Hotmail back in 1998. Tim: Oh, the good old days. Hajime: Yeah, that was good, that was really fun. So, I was lucky to be the only two Japanese guys on the project. My job was to grow with the project, so I was setting up the testing summers and writing tools, so that other people around the world can test it out. Tim: So, how did you wind up in China? Hajime: So, I worked for Microsoft for 10 years, from 1998 to 2008. Back in 2004, Microsoft decided that we need to go to China in order to secure more talents. My propriety was to hire a talent and also try to – so, my boss, right? He was a Caucasian guy. He thought I looked Chinese enough. He talked that I speak were spoke Chinese. Tim: Really? Please, tell me not. Hajime: No, I don’t know, I don’t know, but yeah, they sent to me there, right? So, during the week, I am one project, but then on weekends, I go around the universities around China to interview people and hire people. I get to meet a lot of smart people and I bring the men. Tim: How many people were they trying to hire? Hajime: Our plan was to hire 200 people within two years. Tim: But, you eventually left to join a Chinese company. Hajime: That was back in 2007. That was when iPhone just came out and App Store just came out, and I thought, oh, wow, this is it, right? I thought, this is my chance where I can actually do my own startup. So, even before that, I have been wanting to do my own startup, but I was a little bit hesitant. Tim: So, your plan was to do a startup in China or to go back to the US into a startup? Hajime: I wasn’t thinking deep enough. I just knew that I want to do a startup somewhere. So, I bought my iPhone and Mac, and my friend, we went to Silicon Valley to visit VCs. I developed some app and showed it to the VC. I think they like the idea in general, but then other people find out that I was trying to leave Microsoft, so I got a headhunting offer from five companies. Tim: So, these were Chinese companies? Hajime: Technically, it was a Chinese company. It was all run by Chinese-Americans. Tim: But, I mean, they were companies in China. Hajime: Yeah, okay, that’s right, that’s right, yeah, and they said that they will give me a pre-IPO stock which was really attractive for me, and also, I used to manage the engineering team, but I didn’t really manage the whole company. With this job, I was able to manage the whole company. Of course, a subsidiary of that big company, but I get to manage the sales team and HR, and everything. I thought that that was a good experience that I could get. Tim: Well, what did the company do? Hajime: All right, so it was an IT solution company. Hajime: That’s right, yeah. Do you know a company called Infosys? Tim: Yeah, of course, Sriram is a friend who has been on the show. Hajime: Oh, really? All right, so VanceInfo was the Infosys of China. Tim: And, they put you in charge of market entry in Europe, right? Hajime: Yes. So, when I got hired, I was in charge of the Software and Service group, so my clients were like, Nokia, Microsoft. I was able to grow this company three times, and then we went IPO on the New York Stock Exchange. Now, they need to expand even further, right? They sent me, a Japanese guy, the Europe. Tim: I see a pattern here and is kind of a confusing one. So, you are working for Microsoft, this American company that sends you to try not to do market entry, and then from China, they sent you to Europe to market entry. So, you are market entering into these markets you know nothing about? Hajime: Yeah, I guess I’m a firefighter. Tim: You are a fast learner, that is for sure. You were telling me before that this company, after their IPO, had some management challenges. Hajime: Before we IPO, we need to globalize our seIf, so, we brought in a global talent from the US, VP of sales, and stuff like that, but they could not really adapt into our culture because our core was so… I don’t know how to say it… Single-minded? Tim: This is something that Indian companies have a real problem with. Japanese companies used to have a big problem with, and it would be interesting if China is going through the same thing now. Let us talk about Japan because here we are, but Japanese companies, until very recently, were famous for having all of the top decision-makers the Japanese, all of the key decisions being made in Japanese, and it being very hard for anyone who is non-Japanese, no matter how qualified to really be part of the company. Is that the same thing that these Chinese companies are seeing? Hajime: Yeah, that’s exactly what happened. Even when we brought in a very talented salesperson from the US, on the C levels, we have a heated discussion and they talked in Chinese and we feel like we don’t belong there, and we feel like we are excluded in the boy’s group, I guess. So, that was a lesson that I learned: if you want to build a truly globalized company, I think you need to build a DNA as a global company from the get-go. Otherwise, it’s going to be very hard to change later on. Tim: These days we see a lot of Japanese companies doing that. Hajime: Hiring foreigners from the beginning? Tim: Hiring foreigners, being more inclusive from the beginning. Hajime: I don’t see many, but maybe more. Tim: Well, let’s just look at both of the extremes. I think there’s a lot of startups that because there’s so much for an engineering talent available, very early on, they will say, “Okay, we’re going to be multicultural. We’re going to be open to all languages and we will be bilingual internally,” and if you do it from day one, it is much easier to maintain, but I think we have also seen larger Japanese companies, like Uniqlo and Rakuten who have adopted English-only policies. We have seen companies like, okay, maybe this isn’t the best result, but like, Olympus, Matsuda were bringing in very senior foreign president and board members. So, I wonder if that’s something that the Chinese companies and some of the Indian companies, they might go through that same transition, and it took the Japanese like, 20 years or so, I think. Hajime: Right. Well, I think even Rakuten is having a hard time. They transformed themselves. Tim: Uniqlo, too. I mean, when you are that big and say, “Okay, we’re going to go English only,” it’s hard, but I think just making the effort, and Rakuten does have foreigners in very senior positions. Hajime: Yes, yes, actually, they are doing pretty good, pretty good in terms of bringing the good talents, actually embedding them into the core of their decision-making which is good, but it takes time, it takes time. Tim: So, China is a little behind the curve on that. Hajime: Yeah, because you know what, because China is a huge, huge market, right? They don’t have to think about going abroad. They only need to think about China, that’s it, right? So, I guess, in terms of globalization, they are behind, I will say, but they don’t have to be globalized because China is big enough for them. Tim: Yeah. Okay, let’s come back to Japan. After you left this company, you finally started your very own startup, Milog, right? Hajime: Actually, Milog was not my company. I joined this company as a COO. Tim: You must’ve joined pretty early, then. Hajime: Yes. I was in London at the time, and I was introduced to this young gentleman who was very smart. He was very passionate about building a global startup, and he goes, “I don’t want to build a Japanese start up; I want to build a global startup from the get-go,” and at the time, I was ready to start my own company, but he asked me to help, so I thought, oh, we can build a global company together. Tim: Well, what did it do? What was the mission of Milog? Hajime: They were doing a lot of stuff before I joined. They were doing like Twitter kind of services, they were doing the social games, but when I joined, they had something called the mobile ad network. Tim: What year was this, 2013? Hajime: Back in 2012, I think. Tim: That’s a great time to be running a mobile ad network. Hajime: Yeah, yeah. So, when I joined, right? So, the Internet and budget was about US$1 billion, okay? Mobile ad budget itself was $11 billion. Okay, so there was money there, but then we know that things are moving from feature phone to smartphone, right? On a smartphone, you cannot really do retargeting, you cannot do re-segmented, targeted ads, right? So, advertisers, they have money, but they don’t know where to spend on, so what we did was, we were able to tell if you are male or female, what age group, so that we can send more targeted advertisement to you. Tim: That sounds like a great space to be in at a great time. What happened? Hajime: What happened was that we received negative attention, the end-user felt that we are invading their privacy. Tim: This is here in Japan? Hajime: Here in Japan, yeah. I think we were the first one to do that. Tim: Why would they think that? I mean, this is an opt in program, right? Hajime: Yeah, it was opt in. It was mentioned clearly, I thought, in the TOU. Tim: So, what part of it seemed like an invasion of privacy? Hajime: By installing one of our apps. We know which app you are using, so by analyzing which app you are using, we can pretty much tell about yourself. From that, actually, we could tell if you are male or female with 80% accuracy. Tim: Okay, so it’s just too accurate. People weren’t used to it yet. Hajime: No, I guess the problem was that we do not explain enough. Okay, so it was legit, right? It was legally okay, it was opt in, it was mentioned in the TOU, but actually, we needed to make sure that users really know what they are signing up for because we were the first one, right? So, nowadays, everybody does this already, but since we were the first one, we got bashed. Tim: How did you get bashed? Was it just user complaints, was there media coverage? Hajime: It was media coverage and people or the article, they wrote a wrong article. They said something not accurate. Tim: So, they made it sound like it was much worse than it was? Hajime: Yes. They said it was a spyware. They said that we are spying, we are making money on the data we stole. It’s just borrowed, we couldn’t even stop it. Tim: Did the press just not understand, or do they just not care and just wanted the clicks and views? Hajime: I will say, yeah, both, maybe they didn’t understand well enough, and they wanted more page views, I guess. Tim: How do you fight that? How do you fight that? I mean, if you were doing the right thing, everyone has opted in, you are not violating privacy and you have got media writing articles saying you are, how do you respond? What do you do? Hajime: We found that once you understand the technology, we are not really invading your privacy, but then to the end-users, they don’t know what’s going on, right? They don’t know what’s going on, but we as a company, I think we are responsible for leading the end-user know what is going on. It’s not black and white. Tim: No, I know, but I mean, as a company, to survive, you have to respond to that. So, did you send out emails? Did you take out ads? Hajime: I wanted to – for example, I say we got featured, “featured”, right? Hajime: We got featured in one of the major tech blogs], and they use the word spyware. The information was so wrong, and I wanted to point it out, but actually, I was told not to. I was told to let it go, let it go, by investors because by fighting back, I think it’s going to go even more viral. Tim: So, where your investors standing by you on this or were they also trying to back away? Hajime: Once we received the negative attention, then they weren’t so sure. Tim: That’s hard. Yeah. I mean, how did you and your cofounder try to hold this together? What did the employees think? Hajime: Right. Okay, so that was a very tough time for us, and it just went so viral that we could actually make a comeback, and we decided to fold the company because the brand name or the company was so damaged. Tim: Yeah, this is the one of the biggest differences, I think between doing business in the US and doing business in Japan. Hajime: Yeah, even let’s say, Uber. Uber is illegal. Tim: Oh, yeah, they are violating a ton of laws, and they got squished in Japan trying to do that, but in the US, it’s almost like no publicity is bad publicity, right? But, in Japan, you can be 100% legal, not even grey, and if you get a bad reputation, it can be the end of you. Hajime: Japan is all about the harmony, right? Not disturbing other people. Tim: It’s still not very big on disruption in general. Hajime: Right, yes, and actually, most of the staff, was that happened, people wanted to leave the company. Tim: But, the employees knew you weren’t doing anything wrong. They were in the middle of it, right? Hajime: Right, but then yeah, I guess the word is committed as I thought they were, but it’s tough though, right? It’s tough. Hajime: Because we got featured on all the media, and nobody wants to associate with spyware, right? Tim: So, how did you wrap it up? Did you just let it go bankrupt? Did you sell the IP? Hajime: We sold the tech and we give the money back to the investors, and we fold the company. Tim: What was the next step after that? Hajime: Right, so that wasn’t really my start up, right? So, this time I thought, okay, now, I need to do it myself. I need to raise my own money and I need to build my own team, so that is what I did. Tim: Was it that fast? When you are going through all of this, were you saying, “The next thing I’m going to do is go start another startup,” or were you starting to think, hey, maybe Microsoft doesn’t look that bad? Hajime: No, actually, no. I thought that – before I left Microsoft, my mentor told me, Microsoft is going to be Microsoft even after two years. Startup, you have to do it now or never. That is very true. I need to do it now, and before I get too comfortable with my life, I go out of my comfort zone and do my own thing. Otherwise, I’m going to be too scared to do anything. Tim: So, the next step was BuzzElement. Hajime: That’s right, BuzzElement. I decided to build my global company from the start. I decided to go outside of Japan to build a team. So, it was me and my cofounder. 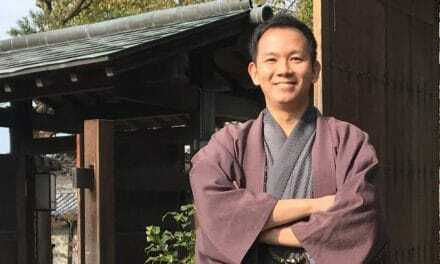 He’s Japanese, actually – my CTO. First, we went to Singapore. So, let me go back a little bit. When I was in high school, my dream was to work and live in China, US, and Europe which I have done that already, but I haven’t explored Southeast Asia. Tim: So, the move to Singapore, then eventually, Malaysia, that was more of a personal decision and personal preference rather than financing or a market driven decision? Hajime: A little bit of both, but mostly by personal because I wanted to live there, so I came up with all the excuse to. Tim: Okay, cool. So, what was BuzzElement? What was the vision? Tim: It tends to be very old technology. Hajime: Yeah, and usually, a POS company, they are not willing to work with you, so what we decided to do is we came up with this little device that sits between POS and a printer. This little guy acts like a printer, so that POS thinks this is a printer, okay? So that we intercept the print stream. We send it to the cloud, we analyze it, we bring it back. Yeah, so that is what we did. So, I thought that was a brilliant idea because by doing that, we know everything on the receipt – shop’s name, timestamp, all the items that they purchased. Tim: Yeah, and even if they are not using your payment system, you are seeing everything. Hajime: Exactly, that’s right. So, regardless if they were paying with cash, credit card, we’ve got the data. That was the key. Tim: You guys weren’t the only company in this market, right? Hajime: Our business model was that we sell the deal, we take 20% of the deal. Tim: So, it’s a coupon model? Hajime: Yes, exactly, yeah. And, also, we took the spread of their payment, but that wasn’t big enough, and people thought, oh, that’s a good business, and they came into the game, right? Then, they started offering it for free, so now, I had to go down to zero in order to fight back because it’s all about the market share, right? Tim: Right, and so were the new entrants, were they better funded? I mean, they have to be better funded if they can offer it for free. Hajime: Initially, they were about the same size. So, initially, it got to US$100,000, and then we got US$1.5 million. I think in terms of funding, we are at the same size of theirs, but it was difficult because they provide the service for free and they didn’t care about the business model, because their business model was big enough merchants so that they can sell the merchant to some big Chinese company. Tim: Oh, the China company would acquire them? I got you, right. Hajime: So, our competitor didn’t care about the business model. They didn’t have a business model. All they needed to do is to sign up the merchant so that they can send it to the Chinese company. Tim: How do you fight against that? Hajime: Well, by raising more, I guess. Yeah, so we wanted to raise more money, so I was talking to a Japanese investor. Tim: And, this is 2016? Hajime: That was, yeah, 2016. We started the conversation back in 2016, yes. Tim: Well, that’s a good time to be raising money. Hajime: Yeah, that’s right, especially from Japan, that was easier to raise money from Japan. Tim: You are financing was all from Japan? Hajime: The first round, we got it from Japan. Second round, we got it from Germany, and the third round, I was talking to Singapore, Japan, US, but we decided to go with Japan investor. But then, they wanted to buy us 100%. They thought this technology could be better applied to Japanese market. Tim: Intercepting the print stream technology? Yeah, I could see that. Hajime: Yeah. So now, right, there is Rakuten Pay, there’s Origami – there’s so many printers now, but back then, they weren’t doing what we were doing. I think that the key was that we were able to get the POS data or the print data. Usually, right, if you went to a coffee shop, you get a stamp card. Once you collect five stamps, you get free coffee. The money is coming from the coffee shop, but you know they are operating with a very low margin, right? So, they don’t really have the money to do that, right? We couldn’t go after those little coffee shops, but we know that okay, we can actually go to a beverage company. Let’s say, a beer company. We wanted to sign up those guys, so that no matter which shop you go, as long as you have Kirin or Asahi, you get a stamp. Hajime: They like that, they liked that idea, they liked that idea, and they were going to allocate 100 million, get a market share in Shibuya. Tim: I can see why companies like Kirin or Asahi want to do that because it moves the loyalty points from the shop to the brand, and that is a really powerful thing for them to do. Hajime: Yeah, yeah, I thought so, I think so. Tim: So, did they end up investing or buying? Hajime: They ended up buying. Hajime: Yeah, so they bought our company, but after that, the executive decided that may be, they shouldn’t invest after they bought us. Tim: That is sort of the wrong time to be making that decision. Tim: That’s got to be disappointing. I have had previous companies that were acquired, but in those cases, the acquiring company was excited about the technology, they kept selling it, they kept developing it. Hajime: That’s good, that’s good. That is what I wanted to do. Tim: But, that’s got to be incredibly disappointing just to say, “No, we have decided against it.” How soon afterwards did they? Hajime: Six months after, but before that, we have been talking back and forth. Tim: Was it a change of management? Hajime: Change of management, yeah, change of management. Tim: Well, that can happen. Well, let us talk about Japan in general. So, I think it’s interesting that you are Japanese, but you have ended up doing business and starting companies just about everywhere except for Japan. Do you think it’s a good idea for Japanese who speak English and have technical or business skills to go to Singapore or go to Southeast Asia to start a startup rather than doing something in Japan? Hajime: It really depends on what type of business you are doing, but in general, I would like to encourage people to go out because you can always come back, right? Tim: So, what type of businesses would startup founders of the best to go to Singapore or go to Malaysia to start, and what would be best if they start in Japan? Hajime: That’s a difficult one, that’s difficult because if I knew the answer, I will be a millionaire now, but I will say, if you want to do a consumer business, I think Southeast Asia or elsewhere – I mean, you have to go global, and you can do that in Southeast Asia or US, or Japan – anywhere, right? But then, by living in Southeast Asia, you get all the more input, more feedback from the market, and you are able to build a global company. You are able to hire people from the US, Europe, Asia. Tim: Well, and you still have access to Japanese financing. Hajime: You could do that, yeah, yeah. Tim: Yeah, Japanese VCs are very active in Southeast Asia. Hajime: Yes, yeah, especially now, especially now, but if you want to do a 2B business, right, I think Japan – Tokyo, I think it’s the best place in the world because think about the wealth in this nijyu san ku, right? Tim: Yeah, I agree. All of my startups have been some sort of B2B enterprise software, and Tokyo is an amazing place to run a company like that. Hajime: Yeah, yeah. All the big players in Japan, in 30 minutes, you can reach anywhere. Tim: Well, listen, Hajime, before we wrap up, I want to ask you what I call my magic wand question, and that is, if I gave you a magic wand and I told you that you could change one thing about Japan – anything at all – the education system, the way people think about risk, the legal system, anything at all to make things better for startups in Japan, what would you change? Hajime: I will say education. Hajime: Education is the answer to everything, right? No one is born with a fixed or a growth mindset. Our beliefs are shaped by messages we receive from our environment. When I say environment, all the interactions with the parents, teachers, friends, and everyone around us, not just in the classroom. So, I think education is the key to everything. Tim: What would you change about it though? Hajime: So, if I had a magic wand, right? I would like to change people’s mindset to be more growth mindset and more positive about the future because you could change the future. Tim: So, it would be to make people more optimistic about the future? Tim: I think so. Japanese people are not optimistic by nature, I think. I find that even when people feel optimistic, they don’t necessarily express it. So, you think that that is something that could be fixed in the educational system? Hajime: I think so, because you mentioned that they don’t really express it, but that is because of the social pressure. Maybe you want to express it, maybe the receiving side, like the elder person might not like it. Or that they are not really allowed to express it, right? So, that’s what I need to change it at all levels, right? The kids to young people, to like, elder people, but actually, let me step back a little bit because I don’t want to change everyone’s mindset because I think Japan is really good already, so Japanese people, they have unity, they are responsible which is the really good side of Japan, right? But then, I want to make it a little more optimistic, so I will say I would like to use the magic wand to change 20% of the population, 20% of the population because we just need a little tweak, not change everybody, just a little bit. Tim: I agree completely. In fact, I think that is one of the things that people misunderstand about innovation, particularly like my big corporate clients. They’re like, “We need to change the culture of our company.” It’s like, no, no, no, you really don’t. You just need 5% or 10% people that want to do some innovative stuff, and you can connect them with each other, and they will go out and be innovative and the other 80%, like you were saying, can just keep society going, keep electricity flowing, and teach children, yeah. Hajime: Yeah, so yeah, so I wouldn’t change everyone. Tim: So, that seems like the right balance, like 20% optimistic innovation and 80% stability and pragmatic seriousness. Hajime: Yeah, it’s older training, right? Tim: Yeah, the parental principle, it keeps coming back to that. Hajime: Yeah, we don’t need too many crazy people. Tim: No, but we need a few. Do you think that is changing? Hajime: I think it’s changing, I think it’s changing. Tim: Yeah, I think so too. So, Japan has always had this incredibly creative group of people. Until recently, they’re always kind of like, outside? Tim: Yeah. They had their own little cliques and they weren’t considered normal, but I think of the last 10, 15 years, it’s becoming more acceptable to be unique. Hajime: Yes, which is good, which is really good. Tim: I think it’s really good. All right, excellent. All right, thanks so much for sitting down with me. I really enjoyed it. Hajime: All right, thank you. Thanks, Tim. So, you see, in Japan, not all PR is good PR. A rumor can kill a product or a whole company so easily in Japan, and it can happen even when most people know the rumored to be false. The general attitude is, why risk it? Image is everything. Opinion is reality. That can certainly make disruptive innovation more difficult, and it can make doing things a new way more difficult as well, but that seems to be changing. Hajime and I both talked about how Japan is becoming more accepting of people with different ideas, or will make different choices in life, both in business, in the arts, or in just the way you want to live your life, and that is great. That is necessary for innovation to flourish. Public perception is still very real here, however, and if you were perceived as being deceptive or working against the interest of society as a whole, then you probably won’t do well here. In fact, during their market entry, Uber seemed to be genuinely confused as to why they were being shut down for violating the law – not confused over which laws that they were violating, mind you, but why they were being shut down because of the violations. Even Japanese VCs, especially corporate VCs, are very image-conscious and are careful about the public perception of their portfolio companies, and you know, I don’t think that is a bad thing. Even if occasionally, a good start up does slip through the cracks because of it. But, Hajime is doing all right. 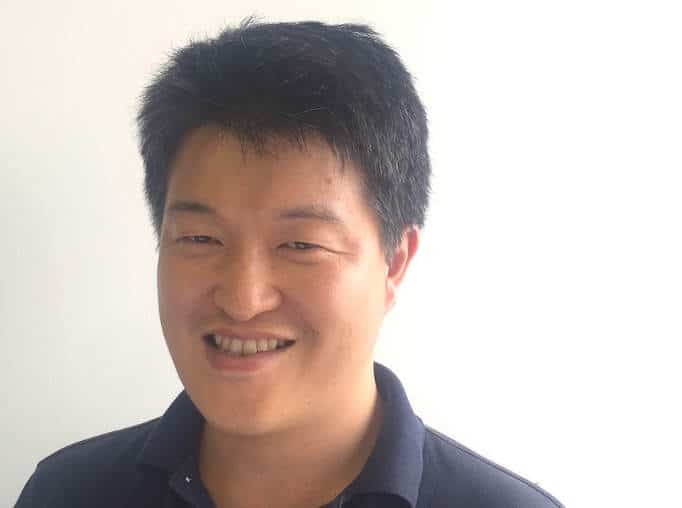 In fact, although we didn’t have time to cover it in the interview, over a six-month period in 2018, he founded, built, and sold Augmented Analytics, an artificial intelligence and virtual reality startup, so we will be keeping an eye on Hajime moving forward. If you want to talk more about startups or about people spreading rumors behind your back, Hajime and I would love to hear from you, so come by disruptingjapan.com/show132, and leave a comment, and let us know what you think, and also, feel free to follow Disrupting Japan on Twitter, Facebook, or even join our LinkedIn group. If you want to ask a question there, I guarantee you, I will respond. But, most of all, thanks for listening and thank you for letting people interested in Japanese startups know about the show. Times are changing and as a 25yro budding foreign entrepreneur in Japan, I can clearly say young folks who stepped out of Japan for an year or few are the best ones to be making a team with. High risk potential and failure tolerance is high with such candidates. Thanks for listening. I think Japanese (well, anyone really) that lives outside their home country for a while tends to become more open-minded and less risk-averse. It gives you new ways of looking at things. I think we are seeing a lot more mixed Japanese/foreign teams in Japan, but I think you make an interesting point. A lot of it is probably generational. Loved this episode. I see myself starting another startup here in Tokyo at some point, so this was really insightful. Thank you! Thanks for listening. I’m glad you enjoyed the show. It’s a great time to be starting things up in Japan right now. I look forward to hearing about your startup once you get it started. Awesome interview Tim! Enjoyed it all the way. @Hajimi Good luck in the next Challenge, all the best! Thanks for listening. Can you share more of your experience with the service? I didn’t use it myself, so I’m not really an authority, but my understanding was that they were doing some pretty basic (by today’s standards) behavior-based ad-targeting and not actually sharing user data with anyone. Is my understanding incorrect? FWIW, I am also bothered by both the lack of privacy and the lack of concern for privacy on the internet. And EULAs that a company can modify unilaterally and at-will should not even be legally binding, but that’s a problem that extends well beyond privacy. Your commercial-skipping idea has precedent. When TiVo first came out, the ability to skip commercials was one of the features that users loved. One of the TV industry groups (I don’t recall which one) sued them several times to try to force them to remove that feature, but TiVo prevailed in the end. I don’t know if a stand-alone device would be popular, and I’m kind of surprised that TV manufacturers have not included that option. Thanks for your podcasts, I had listened almost all of them. I didn’t use the service too, because being a programmer and understanding how such targeted ADs system works from inside is enough to discourage me from installing/using such apps. Also being involved into behavioral neuroscience research and reading about human decision making developed quite strong aversive reaction to anything that tries to abuse attention and eat human’s life time and money. After listening this podcast I got impression (maybe not correct impression due to my bias etc.) which can be reduced to two phrases: (1) It was OK to do that just because it is (was) legit. And (2) the company was bashed just because it was the first doing such thing in Japan and now everybody do the same. My opinion is that such logic may lead to quite controversial path and this is not about sharing user’s data with 3rd party but about targeted ADs in general. The phrase “don’t ask for permission, ask for forgiveness” was invented abroad and works differently in Japan. It is too much to explain it here so if someone is interested in this topic – please read “The Filter Bubble” by Eli Pariser and/or watch “The Century of the Self” documentary. I think the phrase “don’t ask for permission, ask for forgiveness” get thrown around too much. It’s almost become a synonym for “the ends justify the means.” I wish people would think about bit more about whether what they are thinking of doing will harm others. It’s the same way that “Move fast and break things” really means “Move fast and break other people’s things”. I agree about the dangers of marketing, but it’s interesting to step back about 100 years to the birth of modern marketing and and look at how it changed things. Not sure it was for the better. Today’s technology allows the same techniques to be used more precisely and faster. I don’t really think it’s a net gain for society, but that is a much bigger topic. I’m so happy that I finally have the time to follow Disrupting Japan again, missed your interviews. This one stroke a chord with me, as recently I’ve been thinking about how unforgiving can a lot of Japanese people be. Well, related to people in my home country, that is. You can clearly see in the celebrity/idol world here too. It’s ruthless. I was actually talking about this with a friend re: his thoughts about starting something here, in Japan. He is of the opinion that the way higher demand towards service quality paired with the tendency to not forgive as easily are yet another set of things that make doing business in Japan so hard. I’m not sure if I fully agree with him, but it was funny to see our talk extended into this interview, in a way. As always, thanks for the great content! Welcome back to the show. Yes, the whole idea of success/failure and right/wrong as a binary and a permanent condition is something that’s gotten better in Japan, but there are a lot of improvements still to be made. Service quality is something that messes up a lot of market entry here in Japan. It doesn’t have to, but a lot of companies don’t take the time to learn or appreciate what’s required here. It’s mostly a mental barrier, most western startups are perfectly capably or meeting expectations if they commit the resources to doing so. Hi Tim, Thanks for running this. I really enjoy listening to your podcast and they are super helpful. Regarding this particular episode, I can’t agree more with Denis here. Even if the users (retailers) opt-in (even if it is written in long pages of agreements; yes users should read every line but how many do read especially small retailers? ), the below sounds highly questionable and could be categorized as spyware in the eyes of the consumers and to the broader society. Let me know if I have misunderstood here. Thanks again. Hajime: Yeah, and usually, a US company, they are not willing to work with you, so what we decided to do is we came up with this little device that sits between POS and a printer. This little guy acts like a printer, so that POS thinks this is a printer, okay? So that we intercept the print stream. We send it to the cloud, we analyze it, we bring it back. Yeah, so that is what we did. So, I thought that was a brilliant idea because by doing that, we know everything on the receipt – shop’s name, timestamp, all the items that they purchased. I’ll ask Hajime to weigh in, but I don’t think there is anything deceptive about what they were doing. On the customer side, they are using a coupon generated by the app, and the customer would reasonably expect that the app would track data about the transaction where they used the coupon. Also if they chose to pay with a credit card, they would expect that information to be shared with several of the shop’s partners; accountants, banks, etc. On the merchant side, my understanding is that Hajime and his team explained exactly how the system was working, and that the increased intelligence was part of the appeal of the product. The “printer trick” was just a way of integrating with the POS hardware. As I understand it, it does not seem that any data was being collected without reasonable consent or that it was misused.